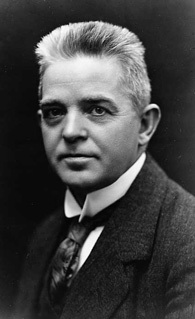 Carl Nielsen’s Maskarade was the Danish composer’s daring attempt to take an 18th century play by the country’s foremost playwright, Ludvig Holberg, and make it resonate with a 20th century audience. Now known principally for his symphonies, Nielsen was also a prolific vocal writer, with nearly 300 songs and hymns to his name. Nielsen wrote only two operas in his life: the dramatic Saul og David (Saul and David) and Maskarade. Saul og David tells the biblical story of King Saul and his relationship with David, who goes from shepherd to slayer of Goliath to being anointed the new king of Israel. It was finished in 1901, right after Nielsen had received a small state pension that would give him more freedom to compose than did his salary alone (he would play second violin in the Royal Danish Orchestra until 1905). The choral pieces seem to have remained in the repertoire, and for that reason, coupled with the opera’s religious subject, it is sometimes seen as more of an oratorio than an opera, and is rarely staged. Maskarade was a leap in the opposite direction. Nielsen wanted to try something lighter. Thus, he not only chose to write a comedy – he wrote one set in the last 200 years. The characters in Maskarade are not of mythic proportions, forever held at a reverential arm’s length from the viewer, but relatable human beings in situations the audience can sympathize with and understand. Further, the piece was set close to home, in Copenhagen, peppered with folk-like tunes and dances. Little wonder, then, that this celebration of the common man became known as the Danish national opera. The musical color palette used in the opera’s composition varies widely from character to character. The heroine Leonora sings 19th century Italianate melodies; there are also faux hymn-tunes for the watchman, comic and characterful bits for the supporting tenors Arv and Leonard, weighty sections with pompous brass accompaniment for Jeronimus, and anyone’s guess for the musical chameleon Henrik. It has been said Nielsen was reacting against the Romantic musical tradition, yet he chose to set his opera in the past. He did this not from a fondness for times gone by, but because of a feeling of kinship with the Enlightenment. He felt the Enlightenment was “representative of modernity” in a way the heavily nostalgic Romantic movement was not. Frustrated by turn-of-the-century conservative Danish society, he echoes Holberg in his use of the character Henrik, the outspoken valet, to voice his impatience with their entrenched structures and conventions. Maskarade reaffirms the ideal of social equality, and is able to take it one step further than the play due to the addition of Nielsen’s music. Because of Holberg’s mixing of social classes throughout his play, Nielsen had the groundwork laid to mix his love of folk music with a more formal style of composition. By putting these musical styles on an equal footing, he was reinforcing the modern yet classical statement that all men (and perhaps styles of music) are created equal. 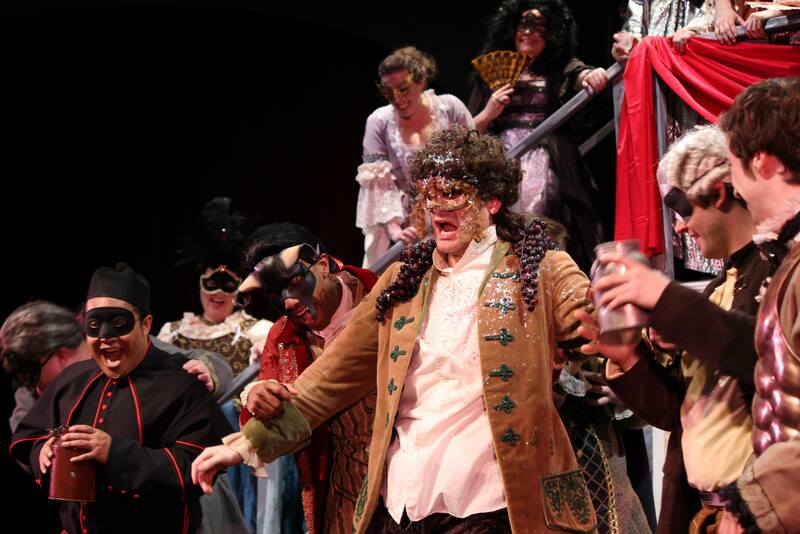 Maskarade’s action and music work together to reveal the true message of the masquerade.